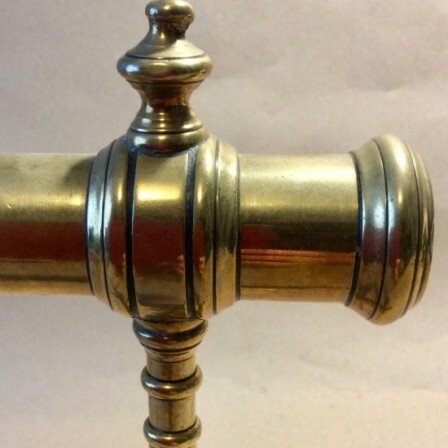 Antique Brass goffering Iron tripod base c1850. 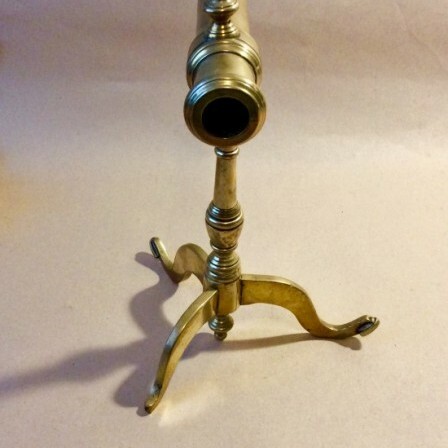 Description: Good mid Victorian all brass goffering iron on tripod base. One foot missing. The massive amount of use has caused the feet to bend upwards through creep. One foot has eventually fatigued and broken. 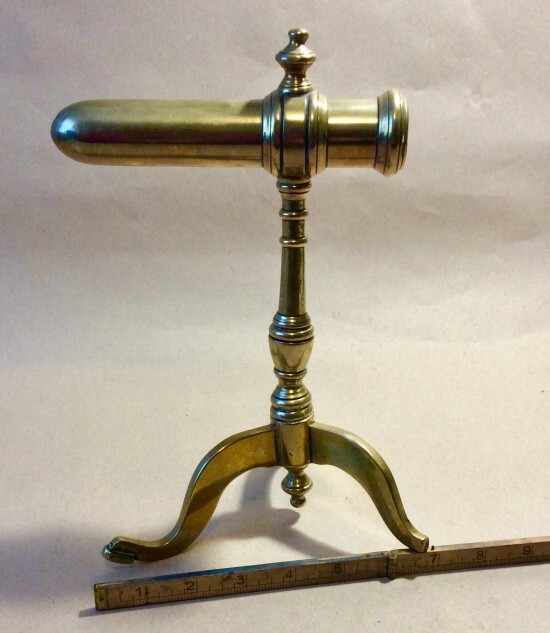 Dimensions: Height 27cm,max width 20cm, max length of iron17.5cm.